As mentioned in an earlier post I have been inspired by cartoons from an early age. 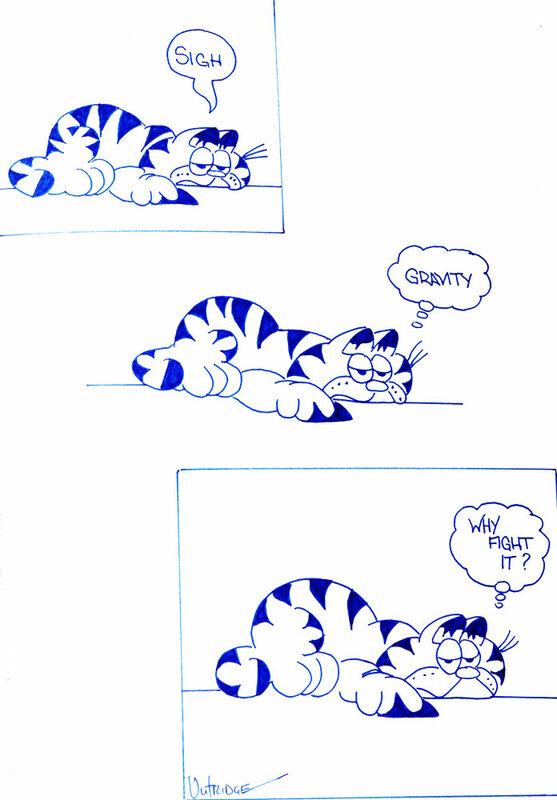 Marvin and Garfield were cartoons that I used to copy from my Dad’s newspaper when learning to draw. This cartoon of Garfield was drawn when I was about 13 years of age. As you can see I developed my signature for my art back then and still use it to this day. Thank you Jim Davis for helping me in my career path to being a cartoonist.